Welcome to my personal website! 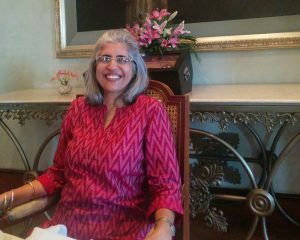 My name is Heeru Bhojwani, Information Media Specialist or what I now call myself – an Information Curator & Coach. Through this site, I intend to share my ideas, my learning with fellow librarians who strive hard to make their libraries a rich place for learning and growth. As a Library Media Specialist, I believe that the right resource, in the right hand, at the right time only brings joy, knowledge and builds creativity. Believing in the basic library principles – where the reader or a knowledge seeker is the king. The Librarian’s role is then to support the inquirer with his research and resources; that could be either print or digital. In this world of Google, it is important for librarians to help students and adults navigate through the maze of the internet and select credible resources to support their learning. © Heeru Bhojwani. Built by Creative Open.